Truly the heart of the home, kitchens are where we often spend quality time with our family and friends. So, it makes sense that people put so much time and effort into making them both functional and attractive. 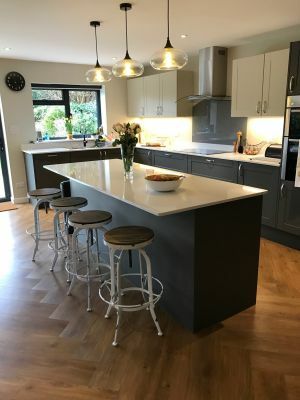 Our customer has taken a modern, industrial inspired design and made it look homely and inviting in this stylish kitchen. The contrasting dark and light tones of the kitchen create a contemporary look. Our height-adjustable stools add the industrial edge that gives this kitchen its unique appearance. In the dining area, our leather chairs sit around an oval table. The ‘Chelmsford’ chairs act as side chairs, with the complementing ‘Epsom’ chairs serving as carvers at each end of the table. Their rich, tan leather ties in perfectly with the colour scheme of the kitchen area. Flowers, lighting and beautiful flooring add the finishing touches to this space. Our ‘Chelmsford’ chairs also come in yellow, blue, red, chocolate and clay; and, the ‘Epsom’ chair is now available in a tall bar stool. 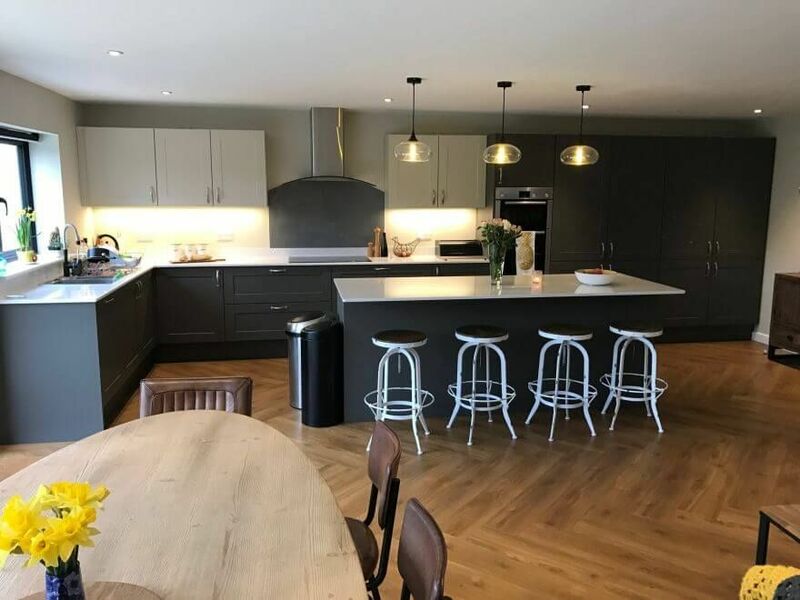 These photographs were kindly sent to us by Charlotte, see more from her stylish kitchen and beautiful home on Instagram (@renovation.x).